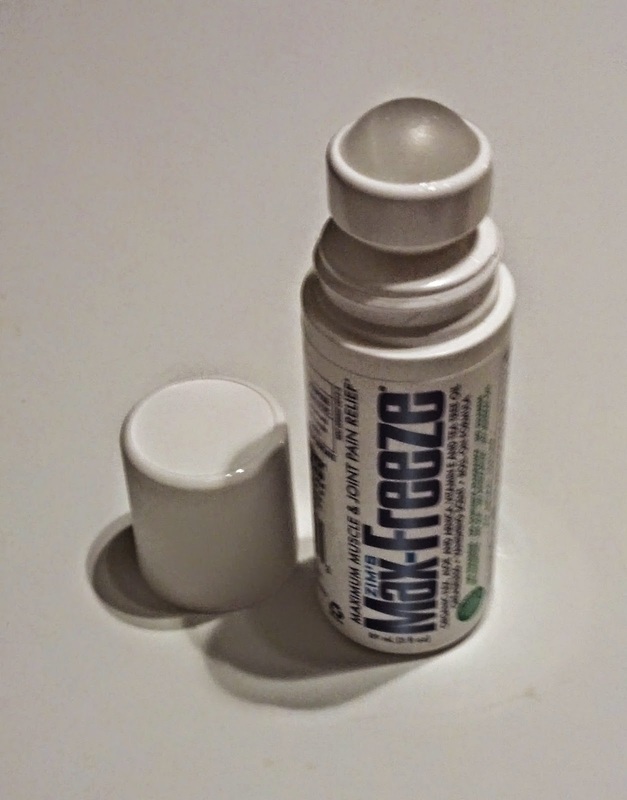 It's This or Murder...: Zim's Max-Freeze: Real Pain Relief at Your Fingertips - Literally. Giveaway! 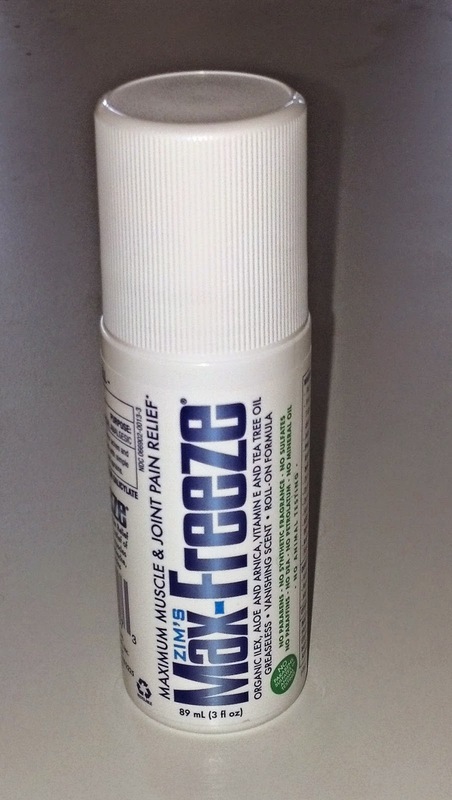 Zim's Max-Freeze: Real Pain Relief at Your Fingertips - Literally. Giveaway! I was approached to try out Zim's Max-Freeze. No, it's not a hiberation chamber, it's a pain reliever! From the website: Zim's Max-Freeze Maximum Muscle and Joint Pain Relief is a topical solution intended for the temporary relief of minor aches and pains of muscles and joints associated with simple backache, arthritis, strain, bruises and sprains. Inactive Ingredients: *Aloe Barbadensis Leaf Extract, *Arnica Montana Extract, Camphor, Carbomer, Ethylhexylglycerin, *Ilex Paraguariensis Leaf Extract, Isopropyl Alcohol, Phenoxyethanol, Tea Tree Oil, Tocopheryl Acetate (Vitamin E Acetate), Water. Nice to see all those natural ingredients, right? And it's also very convenient, packaged in roll-on form. Now, I obviously spend a lot of time online, and it's a literal pain in the neck. After a while, the muscles in the side of my neck start to ache rather badly. I rubbed on some of the Max-Freeze, and it went to work right away. First the coldness, then a slight tingle, then I could feel the tight muscles loosening. What usually took a long time with a heating pad to fix only took Max-Freeze a few minutes. It also did wonders for my headaches. I get all sorts, from tension to cluster, and a small dab on each temple was immediately soothing, even to the most stubborn ones. The natural menthol also helped with my cantankerous sinuses. Fear smelling medicinal? Not to worry. The scent rapidly fades. Not even my kids noticed it after a while, and they notice EVERYTHING. Zim's Max-Freeze is also available in a gel and spray form. Well, Zim's is kind enough to offer one of the roll-ons for me to give away. Enter now! I received product from Zim's for testing and review purposes. My opinions are my own. Blogger and other bloggers involved or sharing this giveaway are not responsible for the fulfillment of the prize. Prize will be fulfilled by the manufacturer.